A UK manufacturer will celebrate its biggest ever presence at Busworld Kortrijk Europe this month by unveiling two new products for the bus and coach market. Grayson Thermal Systems will give buyers the chance to view the firm’s lightest ever E-Drive pack and a new 24v electric water pump for use on hybrid and electric vehicles. It will also be showcasing its new battery thermal management system for full electric vehicles and updated HVAC range, including a heat and AC front box that promises to offer improved maintenance and – thanks to its lightweight aluminum frame – considerable weight savings. The company, which employs 245 people across plants in Birmingham, Poland and North America, will also announce a new strategic distribution agreement during the show. 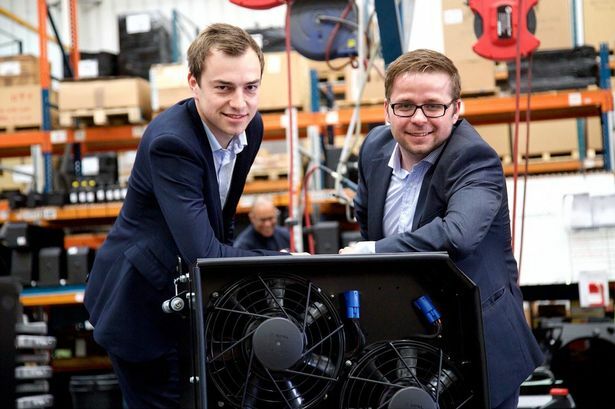 “Busworld is a massive opportunity for us to cement our reputation as one of the world’s leading manufacturers of cooling, heating and thermal management products,” said Matthew Hateley, account manager at Grayson Thermal Systems. Headlining the Grayson stand will be its lightest ever E-Drive cooling system for a Cummins 6.7 litre, 280 HP Euro 6 engine. A 12-month development programme has created lightweight frames and hinged fan cowl that will improve serviceability for cleaning of the cores. Established in 1978 by current chairman Graham Hateley as a small car radiator repair business, Grayson Thermal Systems is now globally recognised for the design, manufacture and supply of bespoke engine cooling, heating and thermal management products. The company serves customers in more than 20 countries across the world through its factory in Birmingham and specialist service centre at Elmdon, Solihull. A number of international business units are also now in place in North America and Poland, with further satellite operations due to be opened shortly.